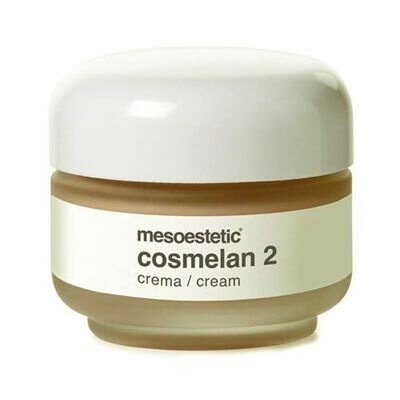 Cosmelan 2 and Dermamelan from Mesoestetic are two of the best-selling cosmetic products in the world. Essentially, they are depigmenting cosmetic treatments, highly effective against skin spots of melanic origin. 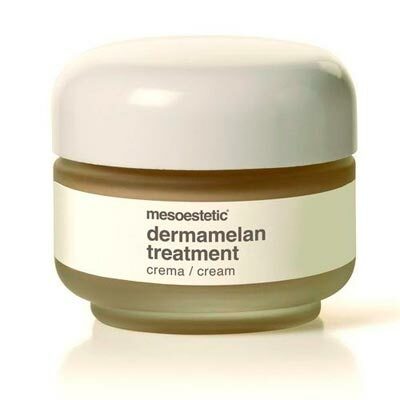 Melasma is a pigmentary disorder of the skin characterized by dark spots. It occurs mostly in the face but can occur in other segments of the body and is most often in women, appearing at about ten percent in men. It is a cream designed to gently remove the irregular pigmentation of the skin, restoring its natural luster. Contains a system of active cosmetic active principles with a skin whitening action. Its main result is the attenuation and / or elimination of melanin skin spots, predominantly those of facial location or other anatomical areas exposed to the sun. It is indicated to attenuate or to eradicate the pigmentary imperfections of the melanoma skin, located in the face, neck, neckline and hands. It also contributes to enhance the luminosity and the appearance of the skin, contributing to its beautification. It is a cream with peeling action, which regenerates the skin, correcting the skin spots or imperfections of melanic origin. It acts as an exfoliant, regenerating the cells of the outer layer of the skin and removing accumulated deposits of melanin. Its formula, with kojic acid, a depigmenting agent of natural origin, interferes in the biosynthesis of melanin, inhibiting its production. Titanium dioxide works as a skin brightening pigment and phytic and ascorbic acid contribute to the regeneration of skin cells by removing accumulated deposits of melanin.